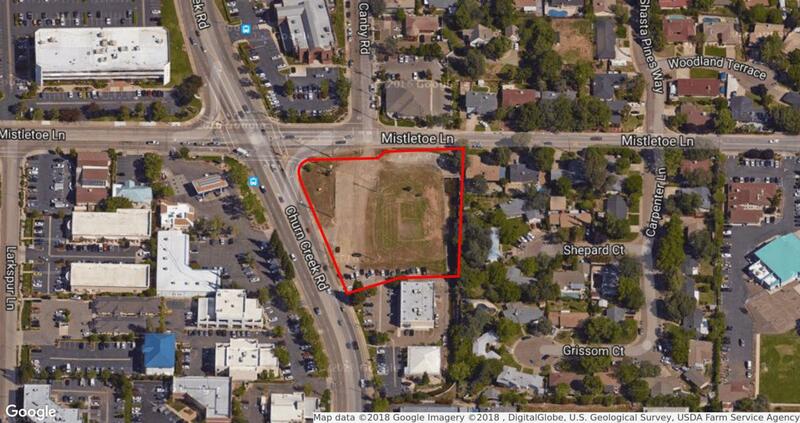 Prime commercial land available for sale at the corner of Churn Creek Road and Mistletoe Lane in the heart of Redding, CA's east side retail/commercial district. High traffic counts on Churn Creek road make this site one of the best remaining undeveloped pieces east of I-5. The entire parcel is 2 acres, but the back canal brings the developable total to approximately 1.6 acres.There are several easements along the front half of the parcel but an unencumbered area likely sufficient to develop the property to its full potential (subject to governmental approvals and Buyer's own review and confirmation).